The first teaser poster is out for that other superhero film opening in 2015. 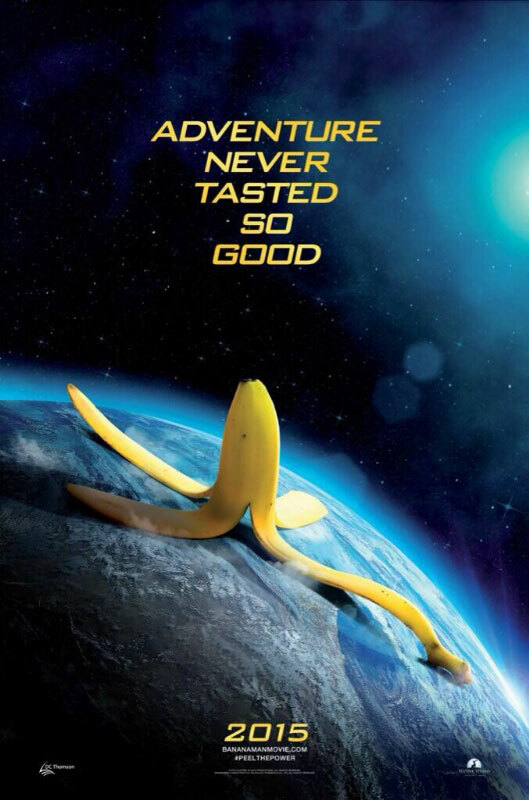 Yes, the film version of the 1980s British kids cartoon series “Bananaman” is making the jump to the big screen and Elstree Studio has released the first teaser poster for the project. Details of the movie are still under wraps with no word on a director, voice cast or story line as yet.